Whitehall Garden Centres real Ice Rink is open from 3rd November to 6th January (inclusive) for Christmas at our Lacock Garden Centre. This is a great fun festive activity to do with the whole family. Sessions will be running at varied times throughout the day and each session runs for 45 minutes. To guarantee your time slot, with Whitehall’s coolest attraction… book today! Tickets include skate hire, along with a 45 minute skate. Skate aids are also available for hire and cost £4.99 per session. Please note, all children must be accompanied and supervised by an adult at all times. 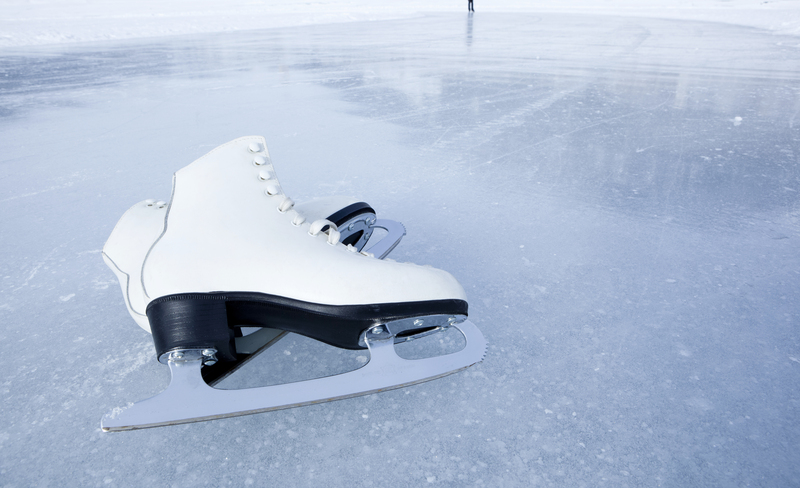 Children under 8 years of age must be accompanied by an adult on the ice. Bobskates are available subject to availability on the day, for children (shoe size 8 and under) which have 2 blades per skate and go over the childs shoe. Guests are recommended to arrive at least 15 minutes prior to the skate session starting. Our Parent and Toddler tickets include 1x Parent Ticket 1x Toddler Ticket and either a Penguin or Banana Skate Aid subject to availability. We have 2 types of skate aid, a penguin where children stand up holding onto the penguin whilst skating, and a banana where up to 2 children can sit on the banana whilst an adult pushes the banana. Our Ice Rink Café completes this family experience and is conveniently located next to the Ice Rink. The Ice Café offers a range of refreshments, including hot drinks, hot bites to eat and snacks to recharge with after a fun time on the ice. Please note a Child ticket is 12 years and under.